We have many combinations of blade widths and pitch from the smooth cutting raker tooth to the efficient skip tooth and the aggressive hook tooth styles. Top quality saw steel manufactured to precise tolerances and guaranteed welds results in very smooth cutting blades. 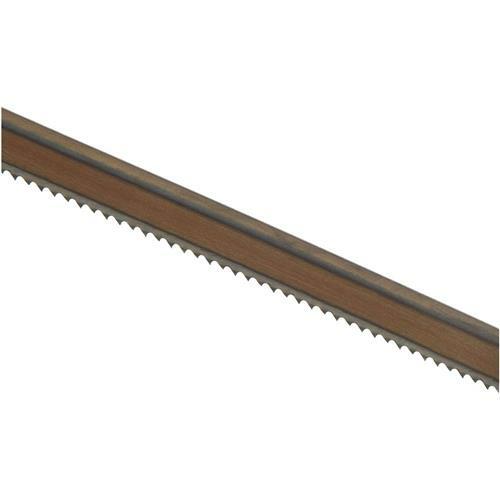 Blades are sized to fit Grizzly bandsaws as well as many other brands. 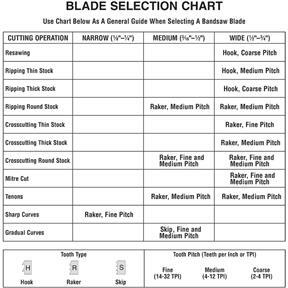 Just match up the length in the charts with the recommended length for your bandsaw. If you need more information to help match blade cutting characteristics with your particular applications, just call our friendly service technicians.